Home › Blog › Admission, Careers and Jobs, Events › Join Us For Our Summer Open House! Our professional massage therapy training program in Ashland, OR is expanding to 725 hours with the next school year! 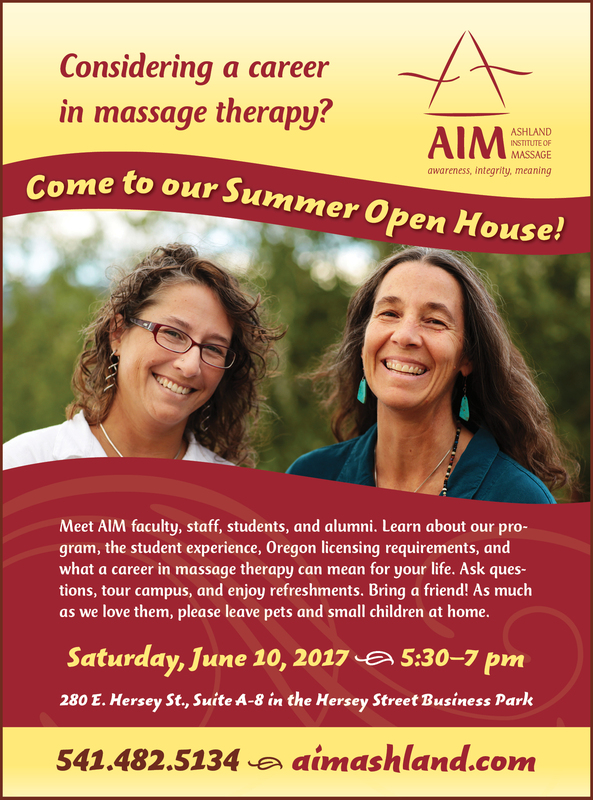 Come hear the details at our Open House on June 10th from 5:30-7pm!